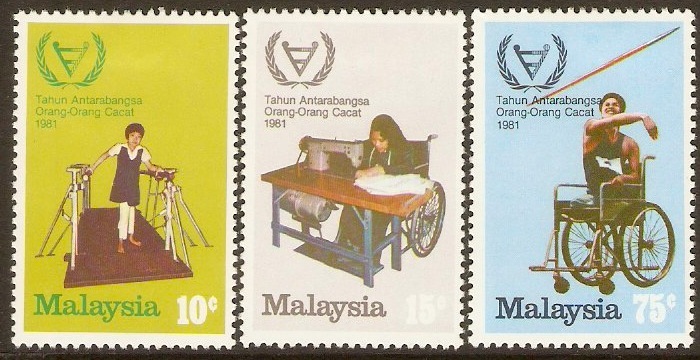 Malaysia 1981 Disabled Persons Year Set. SG220-SG222. Mounted mint 1981 Disabled Persons Year Set. SG220-SG222. Malaysia 1981 Sabah Centenary Set. SG230-SG231. Mounted mint 1981 Sabah Centenary Set. SG230-SG231. Malaysia 1981 Trees Set. SG232-SG234. Mounted mint 1981 Trees Set. SG232-SG234. Malaysia 1982 Scout Jamboree Set. SG235-SG237. Used 1982 Scout Jamboree Set. SG235-SG237. Malaysia 1982 ASEAN Meeting Set. SG238-SG239. Fine used 1982 ASEAN Meeting Set. SG238-SG239. 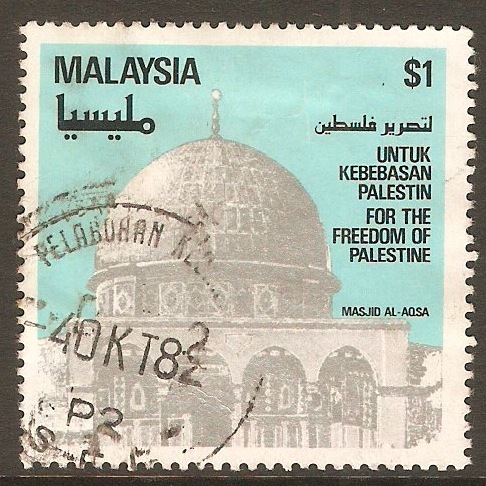 Malaysia 1982 $1 Palestine Freedom series. SG241. Fine used 1982 $1 Palestine Freedom series. SG241. 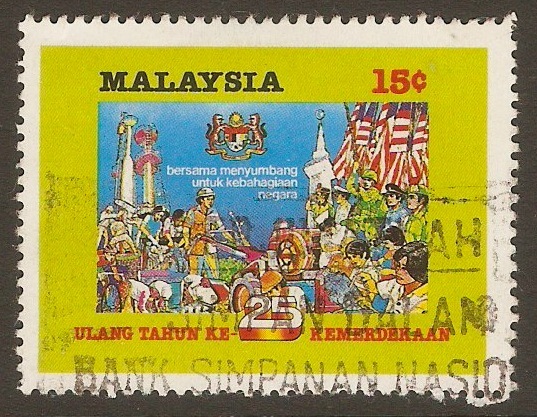 Malaysia 1982 15c Independence series. SG243. Used 1982 15c Independence series. SG243. 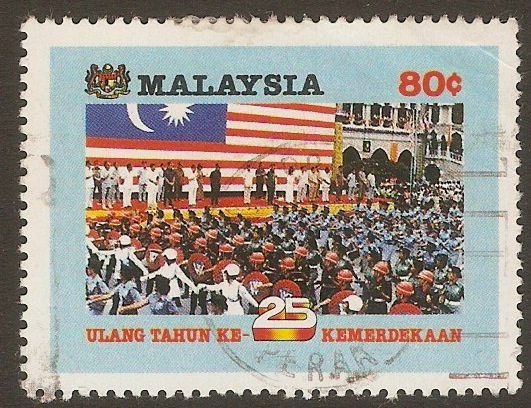 Malaysia 1982 80c Independence series. SG245. Used 1982 80c Independence series. SG245. 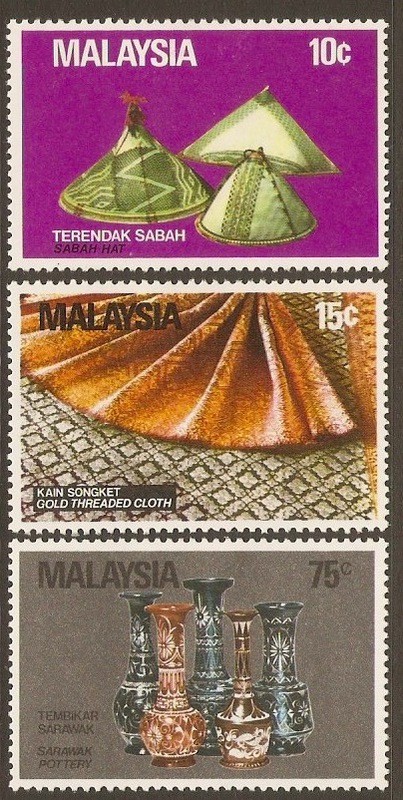 Malaysia 1982 Handicrafts Set. SG250-SG252. Mounted mint 1982 Handicrafts Set. SG250-SG252. 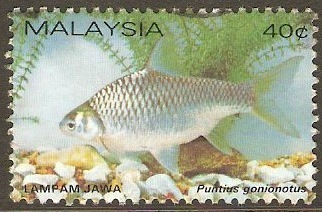 Malaysia 1983 40c Freshwater Fish Series. SG262. Fine used 1983 40c Freshwater Fish Series. SG262.